My mister has been off the past few days and it has been beautiful outside so we took the opportunity to take the boys fishing. 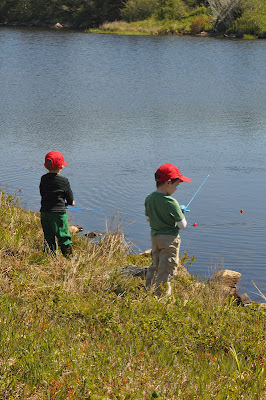 On Sunday we bought them each their own rods and then practiced casting them in the backyard (with the little weight thing they came with... no hooks). 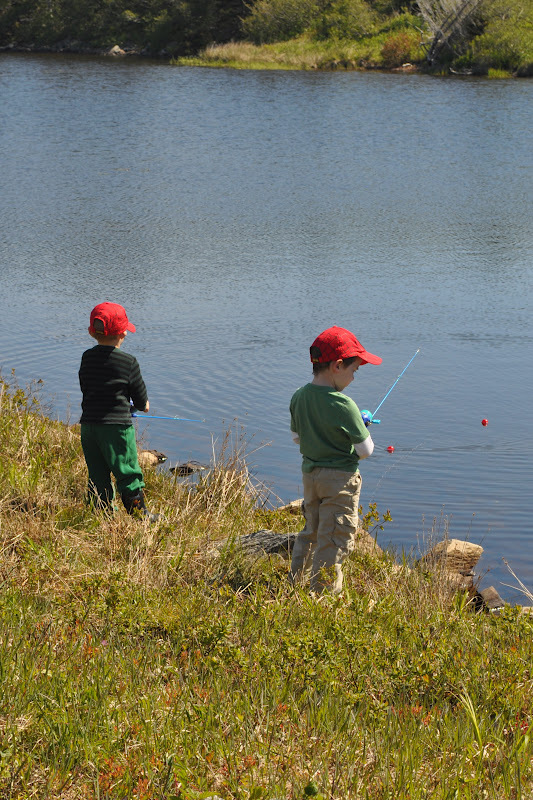 After they were all practiced up we took them to the water Monday morning and let them cast and reel in 'till their hearts were content! Yesterday was a bit of bummer and we didn't even have nibbles so we decided to take them out again this morning. 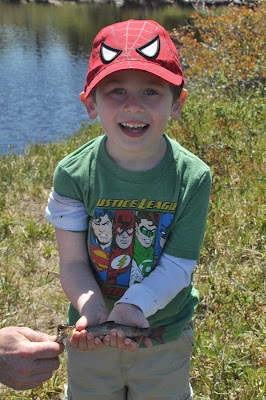 Although Eli didn't catch anything Zac caught a little one and it has made the little guy's life a brighter place. I've never seen him so proud! So sweet! Way to go buddy!